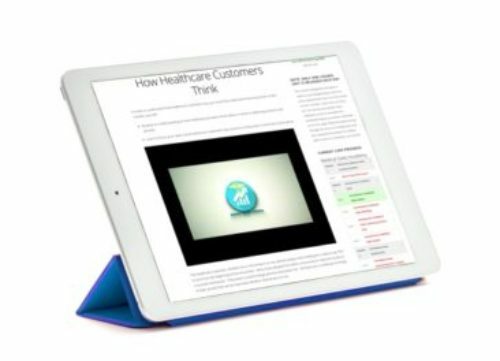 Hone sales representative skills and strategies with Online Medical Sales Training and Support. The medical sales professional’s ability to retain business and compete in the marketplace hinges on the ability to outthink and outsell the competition. Access comprehensive medical sales training and support wherever you are, whenever you want. Via short 5-10 minute course units, learn strategies and tactics to access, engage and close business with healthcare professionals and executives. Learn the essential specialized skills of medical selling, starting with an understanding of how HCPs and healthcare executives think. Learn how to gain access, engage, assess needs, share data and information, handle objections, advance the sale, follow-up, and much more. Learn a proprietary medical sale model to simplify healthcare selling and pre-call planning. Work through scenarios to see how effectively you’ll handle specific medical sales situations. Test your understanding of key concepts with short quizzes in each module. Every month we host a live Q & A session where course enrollees can ask questions and discuss relevant topics. 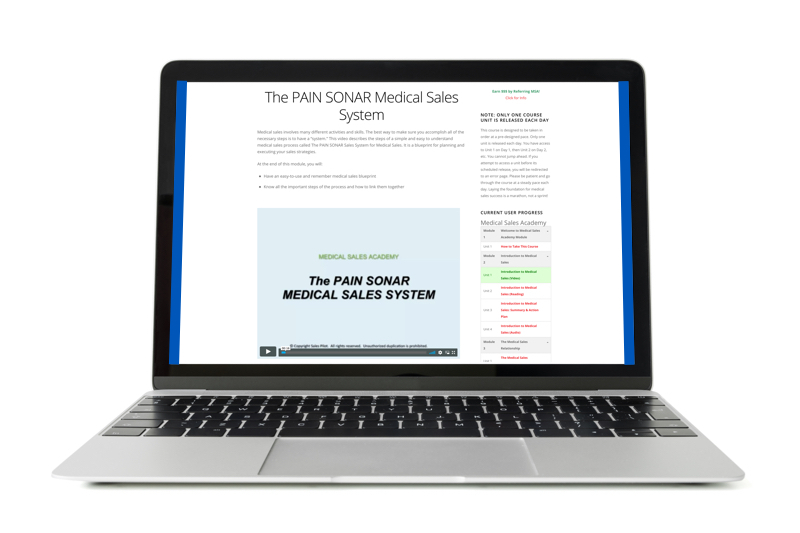 Our online medical sales training course is relevant for medical devices, pharmaceuticals, biologics, DME, capital equipment, EHR, software…anything that is sold to healthcare. We also offer customized eLearning for your company. Please call us for more information. Let’s discuss online and blended learning options to help meet your sales needs.